Fifteen-year-old Anat comes from a good home. Her journalist mother is a strong, warm, modern woman. Her father, a university lecturer, provides well for his family, but he doesn`t have much time and accepts his family as a given that demands little investment on his part. 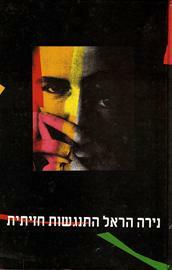 The story centers around a serious road accident in which Anat`s mother is injured. The book does not deal with the accident itself but rather with its effect on the family, their mutual relationships, the changes that occur as a result of the accident, and on adolescent Anat in particular. The collision between the two cars in the accident is only one of several collisions that occur in the family during the time of Anat`s sexual and mental development.